Europe may not lack hotels with grand history and architecture, but not all are equal. Mavis Teo singles out three of the best. 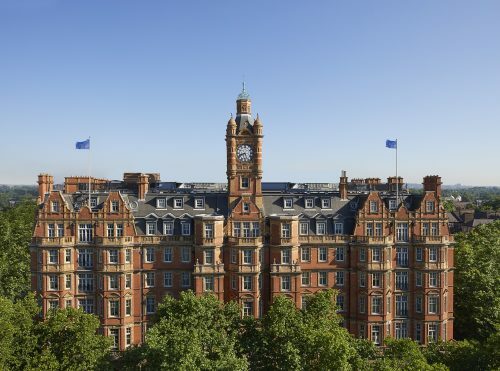 What makes a grand hotel a Grande Dame? Is it a palatial facade and grand interiors that channel Great Gatsby vibes and has old world charm flowing out of grand ballrooms with soaring ceilings dripping with chandeliers? Or is it having a famous restaurant where royalty and high society are known to dine? It is all of these and much more. A Grande Dame’s place in history and location is so well known, it’s an institution. It is a landmark, perhaps even is of architecture prestige like an opera house or the Parliament House. It has a history (sometimes storied) of society’s crème de crème dancing in its sumptuous ballrooms and tinkling glasses. It also offers good old-fashioned, white glove service which you can always count on – no excuses, no glitches. And most of all, it’s modern day appeal lies in how it brings us back to a sepia-tinted period where life’s refinements were enjoyed leisurely. To some, reliving this bygone era is the ultimate in luxury travel as it also means that you have all the time in the world to just relax in a hotel, enjoy its facilities and show up for dinner dressed to the nines. We round out three of the best that are consistently all of these, especially when it comes to service. 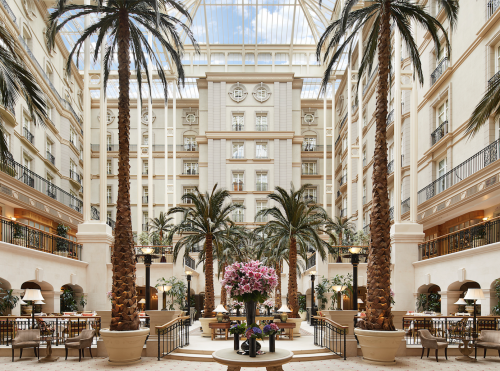 At the Landmark London, Sunday afternoon teas are very popular with both locals and tourists. The Winter Gardens despite its name, provides a refreshing respite on cold days because an enormous glass roof atrium lets in sunlight unfettered. The nosh offered here is a fantastic selection of savouries and pastries. The twotwentytwo restaurant and bar with its oak wood panelling and soft lighting offers a relaxing atmosphere to enjoy a drink or well executed posh pub grub, or enjoy the two AA Rosette menu for British classics. In addition to well appointed rooms with fine furnishings – think elegantly grand décor theme like plush, honey-coloured carpets and all marble bathrooms, the hotel’s location is another sell-out reason. It’s within walking distance to Madame Tussauds, Baker Street, the Planetarium and Regent’s Park. With international hospitality branding in a handsome 150-year-old Grade II building (it was first built as a railway hotel) – you can expect top-notched white glove service and a first class experience. Expect no minimalism as this hotel is Italian grandeur with a capital I. That’s lots of OTT opulence that still manages to look tasteful that only the Italians can do (decadence) so well. 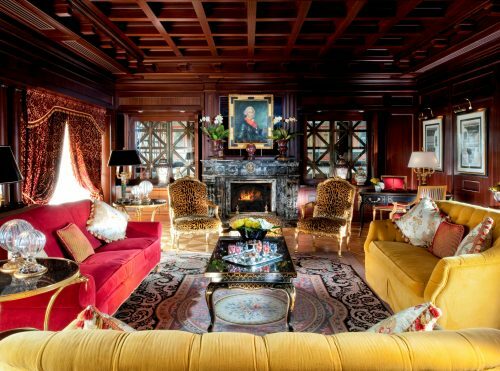 Imagine jewel-toned damasks, and lots of antique wood and marble, that makes the royalty and Hollywood feel at home here. 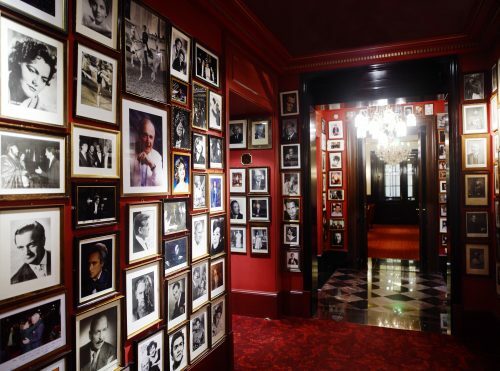 Founded in 1927, it has played hosts to guests like Aristotle Onassi, Evita Peron, Madonna and George Clooney. Queen Elizabeth herself stayed in the Presidential Suite that comes with a Pompeii-style bath. For the rest of us not of blue blood staying in the suites, you’d find Aqua di Parma toiletries by your bath. The Acanto restaurant is also known to be one of the best fine dining places in Milan for its authentic representations of traditional local dishes like ossobuco and risotto a alla Milanese. Scent lovers may be pleased to know till the end of this year, guests at Hotel Principe di Savoia can enjoy the ‘Scented Tour’ experience that includes a city tour and a perfume workshop with author and perfumer Mariangela Rossi. To the uninitiated, the name “Sacher” may remind you of a famous chocolate cake, but some of you globetrotters may already know or have experienced the grand hotel to which the well-known cake owes its name. Built in 1876 by Eduard Sacher whose father invented the sachertorte, every fine design detail in the hotel says old-world charm: from the elaborate gilt trimmings in the public rooms to red brocade couches in the lobby. The hotel is the epitome of fin de secle grandeur. 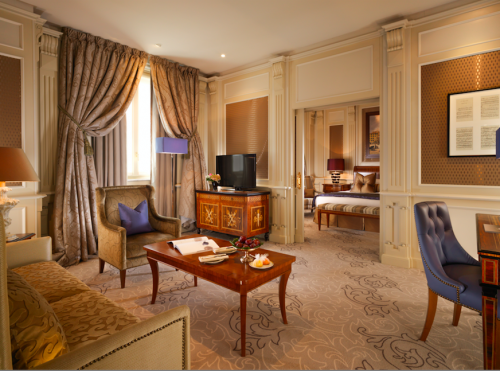 Original oil paintings, rich carpets and the finest mulberry silk wallpapers adorn each of the 152 rooms. Its location is also choice – directly opposite to the Opera House and next to the Albertina gallery. 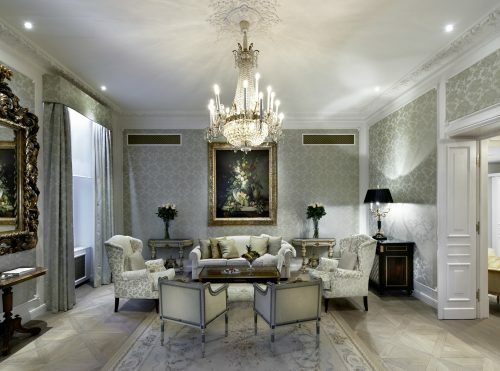 The Sacher SPA also offers uber luxe beauty treatments and products by La Prairie. Another signature treatment: A “Time to Chocolate” treatment is for chocolate lovers who not only love their sachertorte as every step involves the use of a rich chocolate-based product. Another highlight at the hotel is that guests can check in their canine friends into rooms that have been specially kitted out with doggy baskets, blankets and feeding bowls – no doubt a tribute to the famous cigar-smoking Anna Sacher, the widow of Eduard, who was largely credited with turning the hotel into an institution, who was often photographed with her French bulldogs.